Episode 43 English. Rave is short for raven. 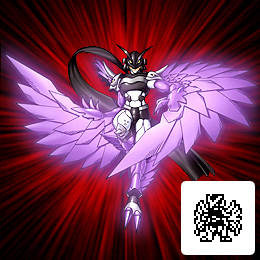 Ravemon's attacks, translated, are possibly Matchless Tenshou Wing Formation, Dance of the Raging Dark Clouds, and Lightning Flash Stab, respectively.